Home » Indian railway » How can I check the Indian Railways seat availability? How can I check the Indian Railways seat availability? The website www.irctc.co.in is the Indian Railway’s authorized online platform that helps you check the seat availability when you are planning for a journey. First, get register yourself on the website, and get your username & password, which you can use it for a lifetime. Upon login, you can set your traveling date and then you can get your train chart, wherein on the right side panel you can check for the seat availability. Apart from the above-said website, below appending are the other few websites, which also help you in finding seat availability in a reputed manner. When should I check the Indian Railways seat availability? According to the experts’ statement, it is advised to check on the IRCTC website early in order to get a seat on the train of your choice. For elderly people and disabled, it is advised to book a seat at lower berth, hence it is just to check in concern websites to check for seat availability and book tickets. Appending below are the different types of seats being given by the Indian Railway. 1A: This is First Class AC; the fares of 1A are quite expensive as like airline tickets and the berth & bedding offer at 1A seem quite sophisticated. Adding to that, not all the trains have 1A seat availability, wherein it is limited, hence, you need to check earlier before your traveling date if you want to book tickets in 1A (recommended for long distance travel). 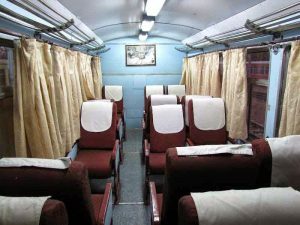 2A: This is Second Class AC; the fares will be lesser when compared to 1A. There are only 48 passengers will be allotted for 2A; hence, it is your responsibility to see for seat availability for 2A if you want to book. 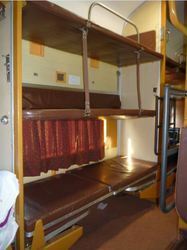 3A: This is Third Class AC, wherein there will be three bunk berths on both the sides and one on the side. Herein only 64 passengers are allotted. CC: This is Chair Car, wherein such types will be there on day-journeys. This type of chair cars is air-conditioned and very comfortable. 2S: These are bench type seats and are non-air-conditioned coaches. Sometimes you will get chair kinds in this 2S seating. How to find my PNR status and train info?